LOST II - Numbers covers the first ten episodes of the second season of the television show of the same name, and depicts the aftermath of Walt's abduction and the survivors' opening of the mysterious hatch in the jungle. This film series eschews the manufactured drama of its parent television series in order to focus on the compelling narrative hidden beneath its surface. In doing so, the central story of the series is brought into focus through a series of ten thrilling and wholly self-contained cinematic experiences. LOST II - Numbers begins to explore the Island's mysterious past, and continues to establish the interconnectedness of all those who find themselves drawn toward it. As the castaways continue to deal with their survival of the crash of Oceanic Flight 815, they begin to realize one thing: they are not alone. 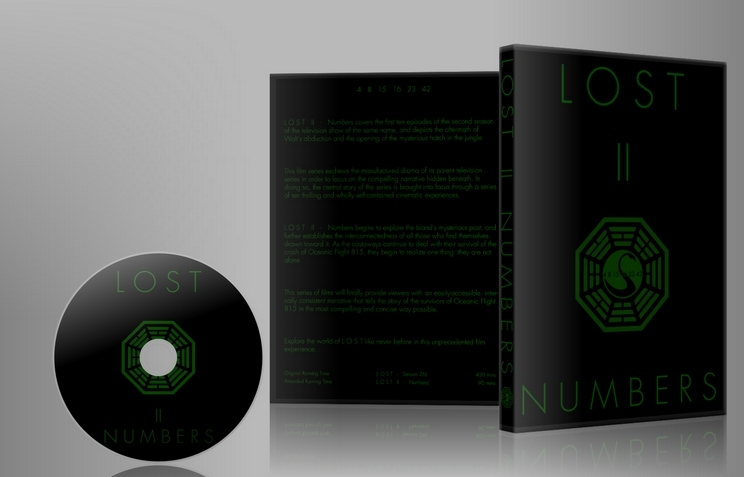 Explore the world of LOST like never before in this unprecedented film experience. 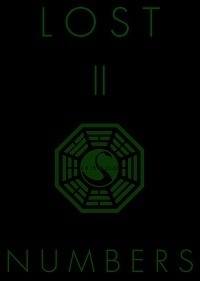 This fanedit is intended to create a complete and self-contained narrative that eschews the less desirable aspects of the notoriously confusing and slow-paced television show LOST, in order to place greater focus on the compelling narrative hidden beneath it. This series of films will finally provide viewers with an easily-accessible, plot-hole free narrative that tells the story of the survivors of Oceanic Flight 815 in the most compelling and concise way possible. My general method for editing the television series into the set of ten films that will eventually take shape was to identify and remove any narrative threads that did not contribute to the core story of the television show, and also to remove any plot-holes or poor dialog I found. Just finished the first two films and here are my thoughts (spoilers). The first film was excellent despite having a long run time. Two elements are more noticeable in the second and were not explained, Jack's key necklace and Jin's handcuff. It is unfortunate these two props are around and would confuse new viewers, not sure if it is possible or worthwhile to try to explain them. No real flashback stories in the second film. Since the first film showed some of Jacob giving Jack an item, it would have been great to include the scene of Jacob visiting Sayid (44 seconds) right after it shows Sayid carry her body away. This would show Sayid losing Nadia in an accident paralleling Shanon's death and have a payoff to the continued references to Sayid's loss and Jacob appearing twice. Not sure if the third film handles the flashbacks for the tail section but hopefully it does cover more of them and explains why they are paranoid. The scene where Shannon sees Walt is abruptly edited, it would make sense with a commercial break but showing a shadowy figure and then fade in to her sitting outside was jarring. Other than that it was a great entry. It will great to have a source that focuses on the island mysteries and the best drama bits without the filler. Something to recommend to people that have never seen the show. It is crazy how fast things move when the story is focused. Very solid Part II in Radzinsky’s LOST series. The pacing was excellent, moving swiftly but stopping to give the audience time to take it in. I would have liked to have seen a little more in the flashback department but what was shown was sufficient for this story. Quality was great but I watched on phone so I don’t know how it will look on your ultraslick 3D TV. No audio issues at all on my end. Another fantastic edit by Radzinsky. Never liked the show when it premiere on network TV due to its slow pace and convoluted story lines. But Radzinsky's edits have made me a convert. Audio and video quality is superb. Narrative is cristal clear. Can't wait for his next chapter. This is my new favorite old show thanks to the editor's intimate knowledge of the content of the show. Highly recommended even for non fans. I am sold.